He was an Indian politician, writer Barrister and also the freedom fighter of India. He was the first prime minister of independent India from (1947-1964). He was a great leader and putting the great effort into making India independence to British ruler. 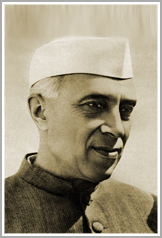 He has also known as the modern architecture of independence India because of given the preamble to the constitution. Which is written by Nehru: a sovereign, socialist, secular, and democratic republic. He was the prime minister in the period from 1947-1964 till death. He is also known as Pandit Nehru because of Kasmir pandit and Chacha Nehru between the children because of loving nature to the children. His birthday November 14 also celebrated as Children Day in India. He was born in Allahabad, India, on 14 November 1889. His father name is Motilal Nehru. He was a Barrister and two times president of Indian National Congress in the time of independence struggle. His mother name is Swaruprani Thussu. She is a housewife. Nehru has two sisters also Vijaya Lakshmi. She is the first female president of UN Assemblies. Nehru was lots of interested in science and in theosophy childhood. This interest teaches them Buddhism and different culture of India. After schooling in England Nehru join in Trinity College, Cambridge for graduation in Natural Science. After completing his degree he came to India and practising law in Allahabad High Court and became a Barrister. In the time practising law he has a lot of interested in independence. Because of this interest, he has joined in Indian National Congress in 1912 on patna session. Neheru marriage Kamala in 1919. Nehru has to join lots of movement for independence in Inda. He joined Home Rule Movement in 1916. He joined Non - cooperation movement in 1920. He joined Internationalising struggle Indian independence in 1927. He takes a lead role on Declaration of independence in 1929. He joined in salt satyagraha in 1930. He joined Quit India movement in 1939. After the independence of India, he has the first prime minister India and continued for till death. He has the prime minister from 1947 to 1964. His death because of heart choke. He was awarded Bharat Ratna in 1955 by Rajendra Prasad president.